Let us introduce you to your new favorite baking dish. It's such a joy to cook with, you'll find yourself reaching for it again and again. 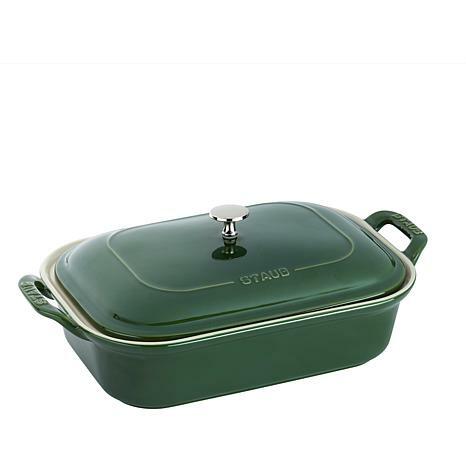 It's not-too-big-not-too-small size is just right for everyday, and its enamel finish flows beautifully from oven to table. 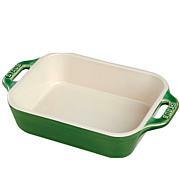 This is a gorgeous baking dish, but not as large as I had hoped. I wanted a large pan for lasagna and this is not big enough for the kind of lasagna I make! 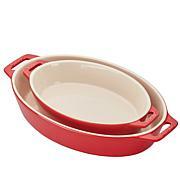 Will use it for casseroles instead. 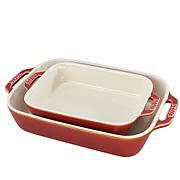 Wish Staub or another less expensive brand would make a huge ceramic lasagna pan! This baker makes the best lasanga and mac & cheese .. The cleanup is a breeze. Worth every dime. 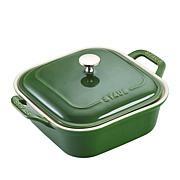 Staub is a professional brand for serious cooks.